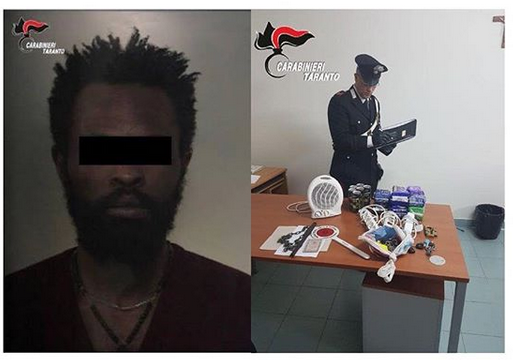 A 33-year-old Nigerian asylum seeker has been arrested for beating the owner of the hotel he was staying in near Taranto, Italy. . According to reports, Emmanuel Omozee was arrested for beaten the owner with a chain and a stick. He has been charged with grievous bodily harm. 0 Response to "Nigerian Man Arrested For Beating Hotel Owner In Italy (Photos)"